This is fastest cure to beat the morning and they’ve got it on lock. These places just want to put a coffee in your gob, a bagel in your hand and send you on your merry way. Banter is a bonus but you might not get time for more than a few quips such is the SPEED and ACCURACY of the operation. The underpinning philosophy of these places centres around doing just a few things really, really well. We stoked to welcome them into our mornings. From the steamy north the Woodman’s Axe has braved the long and perilous journey south to deliver the fine bean things unto Stones Corner. These roasters grind up a mean morning cuppa and will even supply you with a pastry or two to really kick the morning into action. Their credo is simple: coffee is king and we don’t like clutter. Bright and minimal Josie North is happy to host you for your first 15 shots of coffee to turn that gnarly morning into a great one. They’ve even got some pastries and toastable things to really shove you into the rest of your day. Picture books have a habit of coming to life in Woolloongabba. We’re all used to seeing Max from Where the Wild Things Are romping around Brown Dog Cafe, and now we get to meet The Little Prince. From his regal seat in the Princess Theatre, The Little Prince Espresso provides loyal subjects with light snackage and Coffee Supreme specialty espresso. All packed up from their James Street digs, the new TASTE has changed flavour from cooking superstore to cafe and providore. Expect brilliant coffee, fresh breads, morning munch, and the finest preserves ever to make it into jars. And don’t worry, you can still pick up a few of your favourite Le Creuset dishes and pans too. The latest initiative from the universally adored Noosa Chocolate Factory is the chocolatier’s playground where all of the big and little ideas hatch. Trading out of the basement of CP 1, this concept store carries on the good work of their sister stores in providing some of the best hot chocolates and coffee in town as well as an insight into the prices behind their inspired creations. 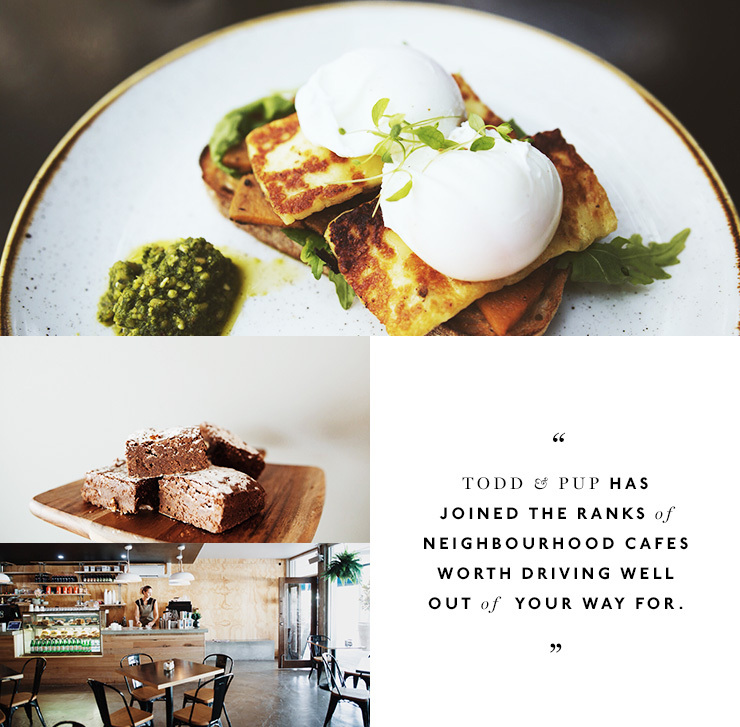 Fresh onto the scene and completely totally absolutely cashless, this Brisbane arm of Sydney roasters, Pablo & Rusty’s, is totally revamping the world of corporate coffee. They got tasty snacks and morsel indulgences but it’s the coffee you’re after and their specialty blends are just the thing to gee you up for that performance review. It’s really no well kept secret that locality, coffee, and toasted sandwiches are the three things we value most in a cafe. Well Eva St Privateer has the triumvirate in SPADES, friends - not shovels, not diggers, not trowels: SPADES - so we think it’s fair to say they’ve pretty much nailed it. From the minds behind the fine dining of 85 Miskin St comes an all day breakfast operation that unearths everyone's darkest desires. Expect your usual suspects like bacon and eggs on sourdough, but be prepared for something like a chocolate fudge brownie with miso ice cream to pop up unexpectedly. From the people who brought Wilde Kitchen to Teneriffe comes this shriekworthy addition to Ascot’s cafe scene. Big ticks for their fresh cakes, slamming coffee, and all day breakfast; bonus points for managing to keep things secret for as long as they have. Staged inside their own roasting warehouse, Republic Coffee Traders provide sippers with an almost theatrical, and fiercely cool, backdrop for their breakfast. It’s the coffee equivalent of a restaurant on a farm and the food certainly lives up to the scrumptious promise. 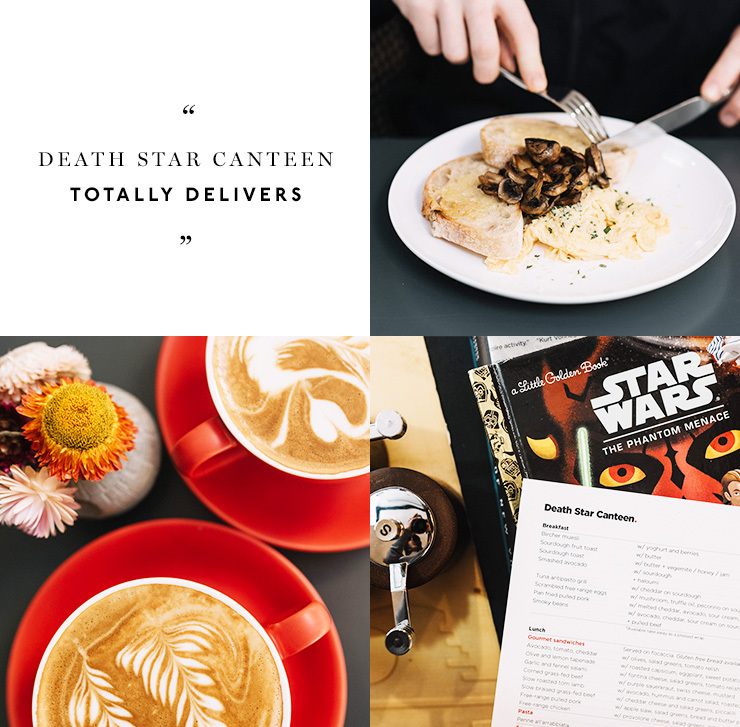 So much hype surrounded the opening of this homage cafe and it just tickles us that the Death Star Canteen totally delivers. The coffee is plum, the sangas make you happy, but the penne alle arrabbiata really steals the show. Venzin group added a fresh feather to the cap already fluttering with plumes of Paw Paw, Picnic, and Mons Bans Sabai.when Piggyback swaggered into 2016 and slapped a big goofy grin on our faces. Maybe it’s the rainbow lattes, the Cocowhip or the vegan and gluten free options, or maybe it’s the fact that the flavours are fresh and vibrant AF, we might never know for sure. While it may seem like an ordinary and mild-mannered cafe, Seven South packs a punch that could knock your stripey cotton socks off. Ideal for a rollicking breakfast or lunch with the extended bloodsquad, life is hefty, generous and sweet at this brand new pocket of love. From their roastery in Maclean, Botero’s coffee splendour has come to Adelaide Street and man it’s brought the stoke. On top of a coffee menu featuring all their best blends, Botero also commands an impressive kitchen. Daily salads, sandwiches and muffins dress the counter for convenient dashes, while longer stays let you pore over the exquisite menu that’s perfect for breakfast or lunch. By night, Botero offers tapas to go with whichever spectacular wine you plucked off their list. 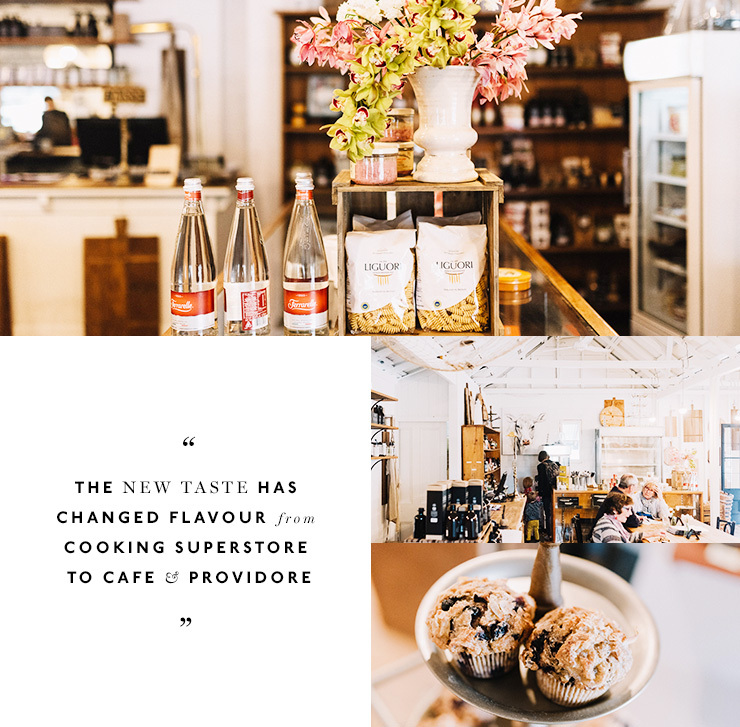 This local gem comes courtesy of the kids at Slinky Espresso and has recently joined the ranks of neighbourhood cafes worth driving well out of your way for. A nice spectrum of classics and surprises compiles the breakfast menu, while lunch is the time for burgers to take centre stage and strut their bobbly stuff.